For transmission of audio data WebRTC primary uses the Opus codec which was specifically developed for audio transmission on the internet back then. Opus compresses in a better and low-latency way than MP3. Some browsers support other coding methods like G.711 and G.722. 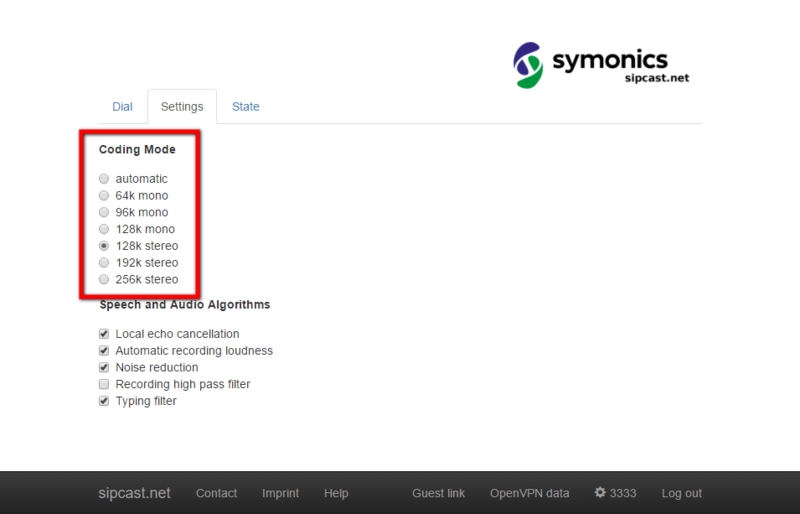 On the settings page, you can choose manually between mono or stereo transmission and which bit rate should be used. Mono in 64 kbit/s is good, mono in 128 kbit/s very good already. Settings must be defined before making a connection. It’s impossible to change them during a phone call.